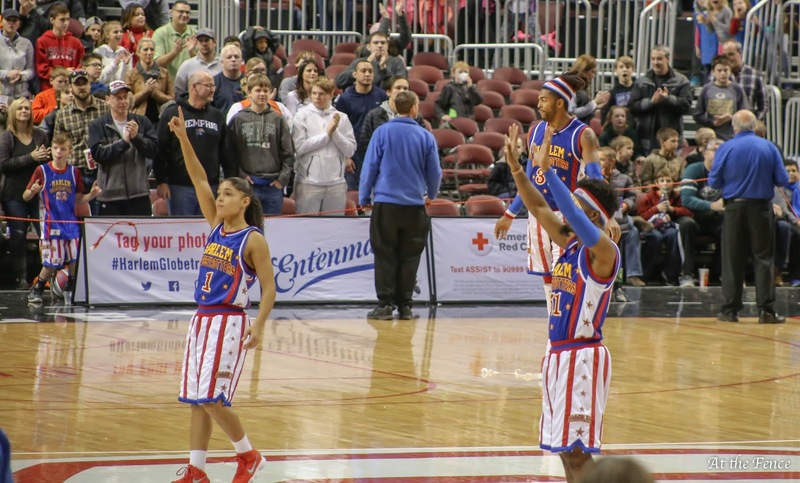 I don't know about you, but I can remember watching some of the Globetrotter games on tv as I was growing up. 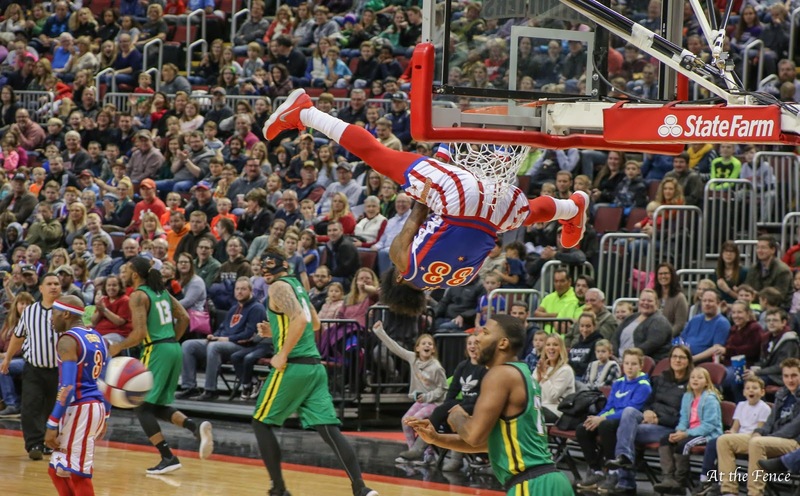 When I was given the opportunity recently to go to a Globetrotters game (courtesy of The Harlem Globetrotters and US Family Guides), I was pretty excited, but was not sure how I would like it. I mean, they must have changed a lot since I was younger. You know, Curly and Meadowlark Lemon and all the other guys were a pretty classy act to follow. Anyway, I am glad I went. Yes the players have changed, but they still are just as entertaining and talented as the team I knew growing up. 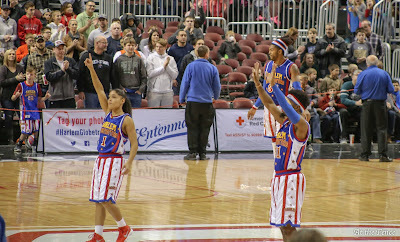 The Harlem Globetrotters played a great game! I enjoyed watching their interaction with each there, and with the audience. The game brought about a lot of cheering and laughter. It was a nice time for me to sit back and enjoy seeing some of the old antics, mixed in with some updated fun. I want to say here, that The Harlem Globetrotters are just as family friendly as they used to be. If you have the opportunity to attend one of their upcoming games, make it a family event and enjoy!